Beautiful, newly remodeled Huntington Beach office space business center, located in a Class “A”, marble clad high rise building in the heart of Huntington Beach. Included are panoramic mountain and ocean views. Our office center is conveniently located at the intersection of Beach Blvd. 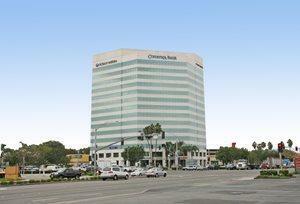 and Warner Ave. near the 405 Freeway, Huntington Shopping Plaza, a Movie Theater, Health Club, and several restaurants. If you are looking for Huntington Beach office space, we'd love to have you come in and look around.